Rocket League Salty Shores Update Arrives Next Week | Nerd Much? The Rocket League big summer update is nearly upon us. And the impending content drop is bringing us a ton of new things to experience within the game throughout the summer. One of the highlights coming is Rocket League’s new beach themed arena, Salty Shores. It’s a perfect map for the time of year we’re about to enter. It’s entirely beach themed (obviously), with the action taking place seaside on the sand. The background is loaded with fun details. Most notable of which is the Castro Pier Boardwalk with a working Ferris wheel and roller coaster. Season 7’s competitive rewards will be doled out upon the Salty Shores update. This time around they included both player banners as well as goal explosions. What you earn will depend upon where you finished in the Season 7 rankings. As Season 7 concludes, we get the start of Competitive Season 8. And shortly after that Psyonix plans to introduce the title’s Beach Blast in-game event. The developers aren’t ready to put the spotlight on the event just yet. Releasing on June 11th, we’ll get more details on Beach Blast in the coming weeks. There’s also a new battle car entering the store this summer too. Known as Twinzer, it looks like a combination of Rocket League’s default Octane battle car combined with something a bit more buggy styled. Psyonix is also releasing a new crate next week which they are calling the Impact Crate. There’s no word on when exactly Psyonix plans to launch their Rocket Pass premium system. As it wasn’t a part of today’s trailer, it seems as though we’ll be waiting a bit longer for that. 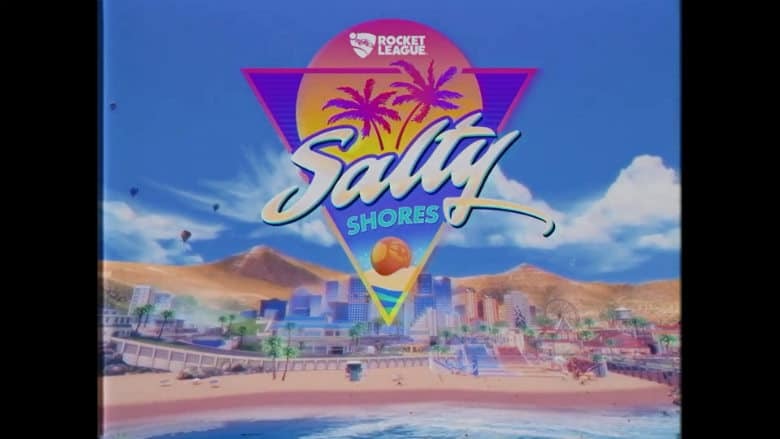 Rocket League’s Salty Shore update is coming next week on May 29th. Who needs the real sun when you can hit the beach and play soccer with cars in video games?